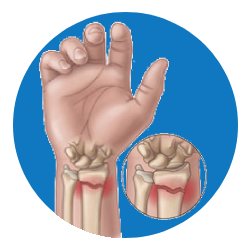 A hand fracture is a break in the bones of the hand. This includes the bones of fingers, palm( Carpal bones) and wrist (Radius & Ulna). Closed Fracture reduction under anaesthesia and fixation with wires. Open reduction and Internal fracture fixation with plates and screws.